For the past few days, my family and I have been visiting relatives in Colorado state. Although there’s always good reasons to visit family members in other states (and I love the mountains; a huge change from Wisconsin) my foreign exchange sister is heading back home to her native Tajikistan in only a few more days and we wanted to take her someplace special outside of the Midwest before she leaves America. In an excellent coincidence, her hometown of Dushanbe is sister cities with Boulder, Colorado – only a few miles from where we’re staying with my aunt and uncle! 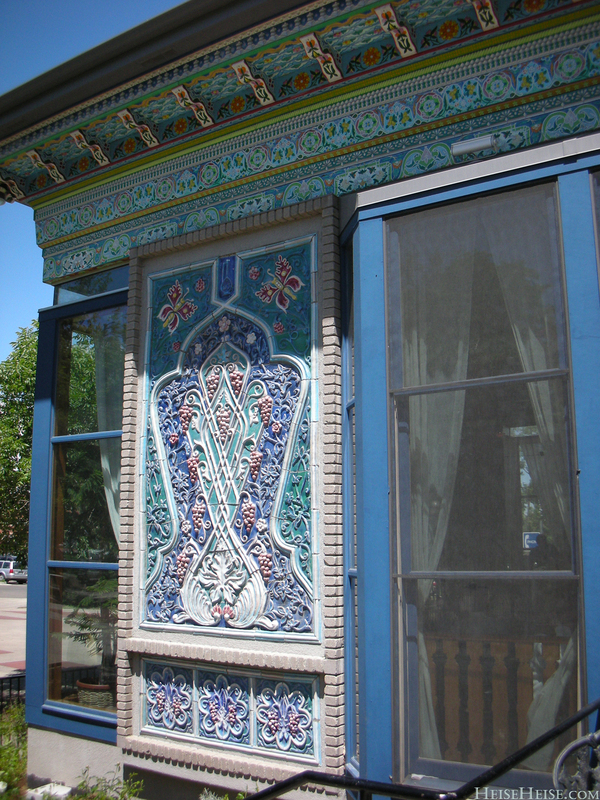 Boulder received a simply amazing gift from Dushanbe several decades ago: an ornate, exquisite, and completely authentic teahouse that was apparently built in Tajikistan, and then transported to Colorado and rebuilt. 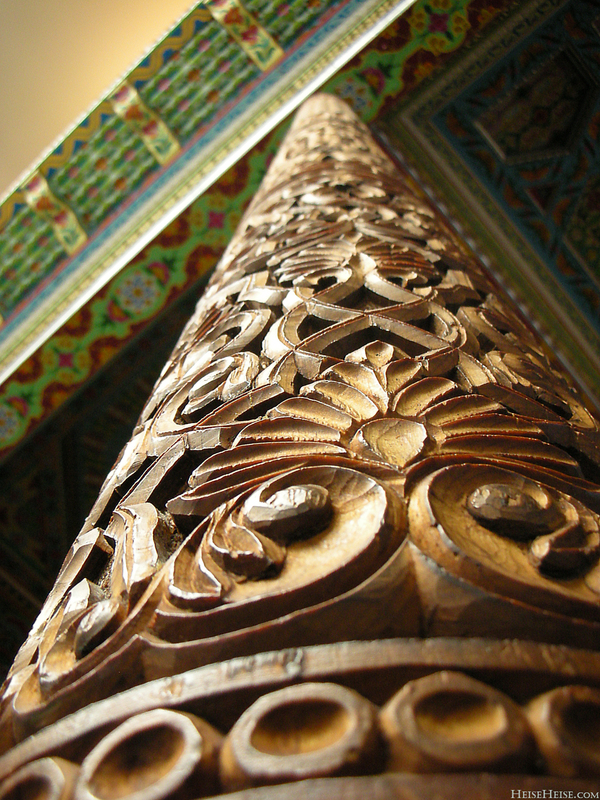 The insides are filled with amazing ceramic artwork, statues from Tajiki folklore, hand-carved cedar pillars, and of course great food. 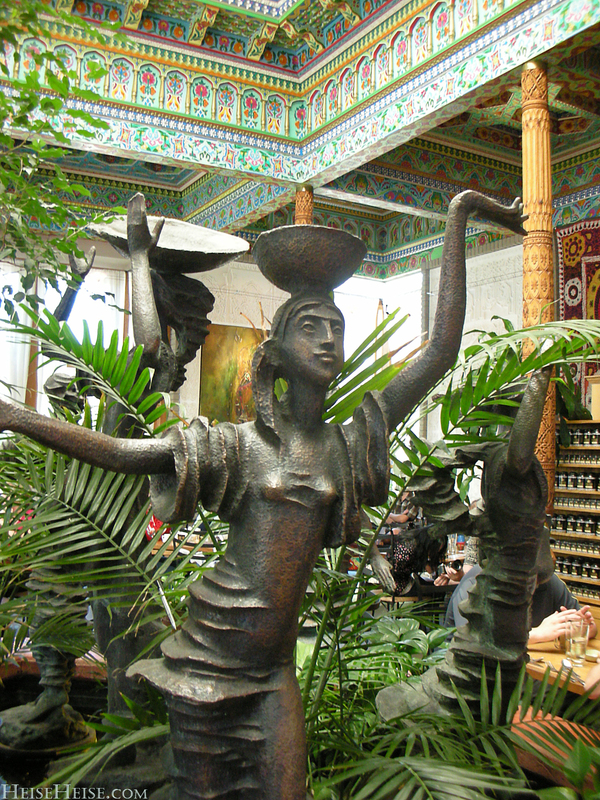 It was fun to go there with a Dushanbe native, of course – she could translate all of the Cyrillic (Russian/Persian/Tajiki etc) characters all over the walls and tables for us, and the waitstaff seemed to be particularly attentive to her. In Tajik culture, like many other Central Asian countries, the teahouse is like a coffeehouse for us – people socialize, conduct business, and generally relax while enjoying their tea. Frankly, most tea is healthier for us than coffee, so maybe it’s something that we Americans should be adopting! The tea was great, of course – they had an entire menu of varieties they could serve, and each person received their own steaming and steeping teapot to get to the perfect level of brew. The place in general is simply gorgeous, and I wish these pictures could do it justice. 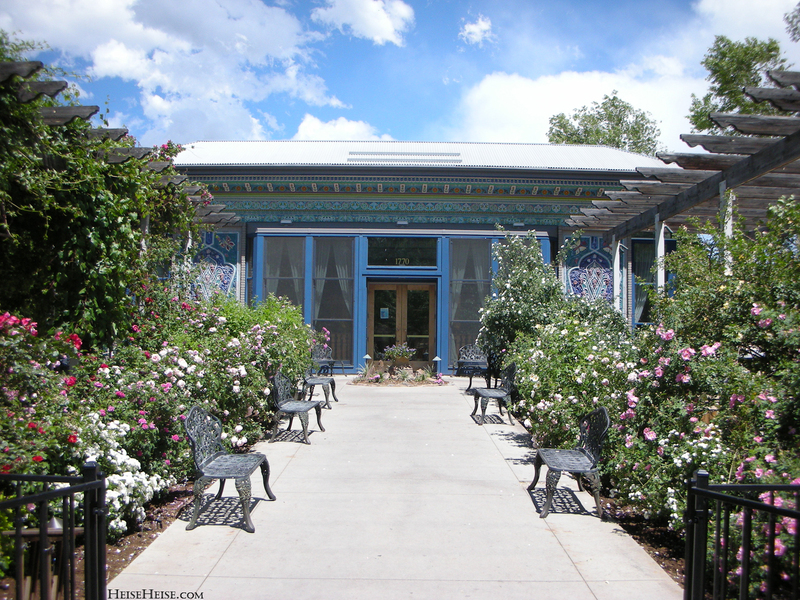 Check out this website for more information about the teahouse and the Boulder-Dushanbe partnership in general. According to my own reading and a little alcove they had in the teahouse, ground has been broken in Dushanbe for Boulder’s return gift – they’re providing a state of the art cybercafé. Since it’s been about 20 years since the teahouse was given to them, it’s good that they’re finally returning the favor! NOTE: I was going to add some nice, big full sized pictures to this post so that I could attempt to communicate this place’s beauty, but WordPress’s poor little photo uploader is not working (and after searching the help docs, it looks like hundreds of people are having the same problem with this version). For the time being, I hope these links will do. Each photo is about 2MB each. Aww, sister cities. That’s sweet.